For over five years, a MaritzCX client in the shipping industry used a receipt-based online survey to measure the customer’s retail experience. These surveys featured a URL at the bottom of the customer’s receipt, guiding them to an online survey. While the survey was short and optimized for mobile completion, the client experienced a low response rate. To increase survey response rates, the client partnered with MaritzCX to explore new channels for effective data collection. The process started by thoroughly vetting digital invitation technologies and data collection methods new to the customer experience industry, i.e. voice-to-text capabilities, video surveys, etc. 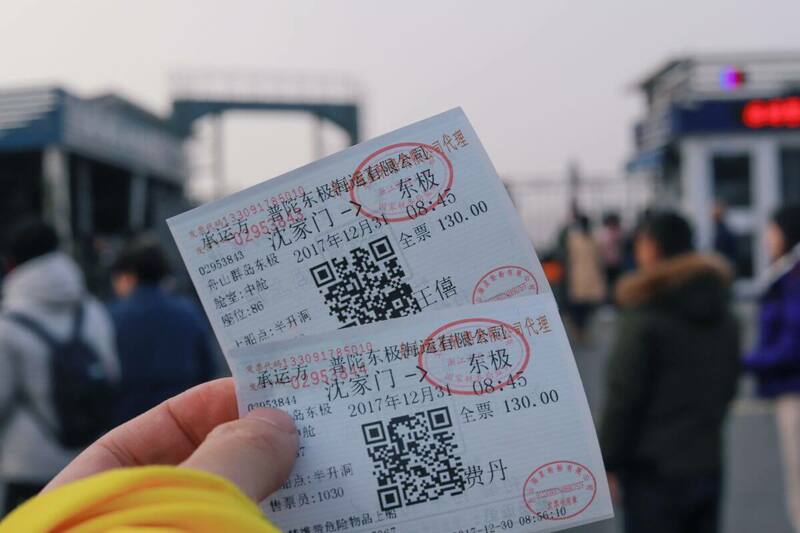 After analyzing the most effective method for the client and shipping customers, MaritzCX recommended piloting a QR code on the receipt-based invitation. A QR code is a two-dimensional bar code that stores information, such as a company’s web address or online survey URL. Customers with mobile devices equipped with QR code readers can scan the QR codes, resulting in a smartphone or tablet redirecting the user to the programmed URL. These types of codes are commonly used by younger, tech-savvy consumers—a unique audience that tends to avoid traditional survey methodologies, resulting in lower response rates among the demographic. The QR code invitation was chosen because it allowed the data collection method (i.e. receipt-based and mobile optimized online surveys) to remain the same with little variable cost added to the customer experience program. 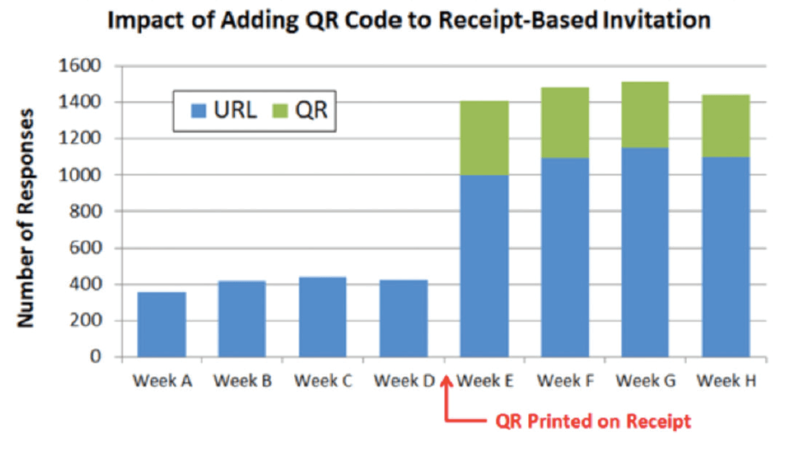 After piloting the QR code method at various locations, the client began to see an increase in responses. Upon completion of fully rolling out the program, the total number of responses more than tripled. There were nearly as many respondents using the QR codes as the respondents manually entering the receipt-based survey URL. In addition to QR code success, the number of respondents entering the URL into their browser increased by over 250%. The percentage of customers using tablets and mobile phones to complete the survey more than doubled after adding the QR code (14 percent to 36 percent). The client was able increase the response rate by drawing in the customer’s attention with the QR code’s presence on the receipt. This resulted in more feedback from a larger and more representative customer population. If you are experiencing low response rates or seeing feedback from one segment of your target market, a comprehensive analysis should be conducted to discover new and effective methods for receiving solicited and unsolicited feedback.